Queen’s Animal Defence (QAD) is an advocacy group committed to social justice for all animals, starting in our own backyard with the animals on Queen’s Campus. The focus of our current campaign is animals used for research and educational purposes. Most people don’t realize that thousands of mice, rats, amphibians, birds, dogs, rabbits, guinea pigs, macaques and other animals are used for demonstration, dissection, testing and research purposes at Queen’s. These animals live amongst us, locked away in cages in the biosciences and other buildings, and yet most of us don’t even realize they are here, let alone the harms to which they are subject. Other ongoing campaigns will focus on animals used for food at Queen’s, animal companions on campus, liminal animals who call Queen’s home (e.g. urban wildlife like squirrels, Canada geese, crows, bats and chimney swifts), as well as general animal advocacy in the Kingston community and beyond. QAD welcomes new members from the student body, and the broader Queen’s and Kingston communities. 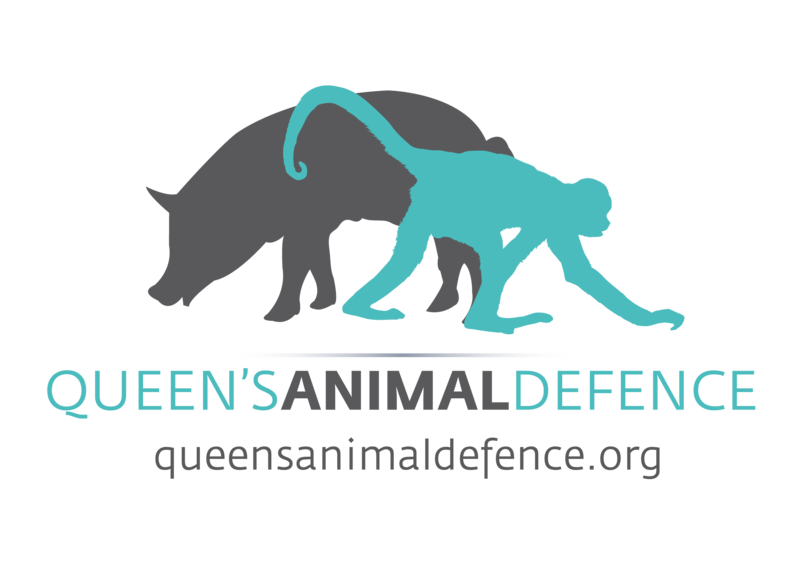 Please feel free to contact us at queensanimaldefence[at]gmail.com or submit questions here or through Facebook. The QAD logo was designed by Geneviève Couture from Celsius Inc.
We are deeply grateful for your generous support!